This week, I have invited international fundraising superstar Roger M. Craver, a direct-response fundraising pioneer, Editor at The Agitator, and author of Retention Fundraising: The New Art and Science of Keeping Your Donors for Life to share his wisdom with us. Our nonprofit sector is bleeding to death. We’re hemorrhaging donors, losing support as fast as we find it, seemingly condemned forever to pay a fortune just to stand still. While the latest Fundraising Effectiveness Project report, developed by the Association of Fundraising Professionals and the Urban Institute, shows that the nonprofit sector’s donor retention rate has improved for the first time in years, the number is still wretched. The nonprofit sector’s donor retention rate now sits at a shameful 43 percent! For every 100 new and renewed donors, 102 donors are lost through attrition. As a sector, we must stop this donor churn. It’s expensive. It prevents organizations from building long-term relationships that lead to large current donations and significant planned gifts. Sadly, doing business as usual is not working. It’s time to change the way we do things. Fortunately, the solution to the donor retention problem faced by the sector is not overly complicated or pricey. It simply requires a commitment to change. Once you’re committed to enhancing your organization’s donor retention rate, Craver’s mercifully brief and easy to read text will show you the way. Based on science and decades of practice, Craver’s book will explore what measurements are important to track, what tactics you need to adopt, and what messaging secrets you need to learn. By following the advice found in Craver’s book and its companion website, you will be able to improve your organization’s donor retention rate. With increased fundraising effectiveness, your organization will be far better positioned to fulfill its mission today and well into the future. I invite you to comment below and ask whatever questions you might have. Roger and/or I will respond. That’s what Roger Craver and Michael Rosen say… What do you say? I know one thing…I’ll be purchasing Roger Carver’s book!!! Stephanie, thanks for letting us know your plans! While Roger and his publisher will certainly appreciate your purchase, I know you and the Moffitt Cancer Center will value the book. Best wishes! A very timely subject. I look forward to reading this book. I am also curious about how retention rates differ with educational institutions vs. nonprofits. Having alumni is an asset whereas nonprofits have only donors who may not have that life experience and memory from days gone by. Retention is a challenge no matter where one is employed as a professional. Mimi, thank you for sharing your thoughts. I haven’t seen data comparing donor retention rates by nonprofit subsector (i.e. : higher education, hospitals, social service charities, etc.). However, I suspect that organizations that have a relationship with people before they become donors will have an advantage. After all, it’s all about relationships. Now, having said that, I still believe that organizations can never take donors for granted. So, even higher education institutions need to build on the existing relationships and must still show donors how their donations will make a difference. Great subject that has me intrigued and asking for more. Having not yet read the book, does the research investigate the reason for a first gift? I wonder what percentage of a nonprofit’s first gifts are simply not about the nonprofit and never will be. I frequently make one-time contributions to organizations out of response to someone asking me to “sponsor” their activity (ice bucket challenge) or in response to a memorial. My gift, therefore, has nothing to do with my desire to further support that cause. Having worked in a hospital with a hospice program, while this may sound crass, if the right person dies the organization could literally receive a hundred memorials with fewer than half coming from the community. It is extremely unlikely to turn those donors from four states away into repeat donors. Perhaps this is a one-off example, but that is why I am curious what the data shows (if it shows it at all). It may help us understand and refine where we focus those renewal efforts. Nancy, thank you for commenting. The reasons why donors give are varied, as you know. The reasons vary by organization, charity type, type of donation, and the donor. Yes, some donors may give without any close connection to a nonprofit organization. For example, an organization may attract memorial gifts from donors who had a connection to the deceased without having a connection to the charity. However, for most organizations, such arms-length gifts represent an extreme minority of donors. The fact remains that organizations are losing donors that, with proper care, could be long-term supporters. As I mentioned, Adrian Sargeant’s research demonstrates that relatively small adjustments can result in dramatic increases in donor lifetime value. While organizations might not devote much effort to building a relationship with “special” donors, they should make some effort and they certainly should devote significant effort to the rest of their donors. Measuring retention as a single year renewal rate is actually the first place to start. This short sighted metric translates into short term strategy thinking. It is a continuation of transactional thinking. Donor retention needs to not be yet another silo conversation. Donor retention is impacted by examining the entire donor experience and designing the every touch point. Retention needs to be measured by length of relationship. If the point is relationships, then a metric of renewal may be why renewal rates have fallen over the last decade. As always great topics, Michael! Jay, thank you for commenting. While first-year donor retention is an essential metric, it is certainly not the only one. Nevertheless, for most organizations, it is an important place to start. I don’t believe that using that metric will automatically lead to transactional thinking. Wise organizations will seek to build stronger relationships with new donors and use the first-year donor retention rate as one way to measure the effectiveness of their development efforts. While it’s a start, it’s a vital start. Sadly, most organizations don’t have a clue about this most basic of measures. What are the other metrics that you feel are important to track? When it comes to changing the nonprofit attitude toward donor retention, this line,“Well, you see, I’m all in favor of progress, but I’m absolutely opposed to change,” says it all. So many organizations, especially in my current market, would rather spend big money on events and expensive mailings looking for new donors than spend time creating relationships with the donors they already have. I have written about this issue in the past, and I am pretty sure you have, just as almost every other fundraising blogger has. When will our sector wake up and smell the coffee? If you want to get your supporters to come back year after year, take the time to create a donor centered program, ask them their opinions, and get to know them so you will know what is most important to them. Richard, thank you for sharing your insights. I know from reading your posts that we’re on the same page. 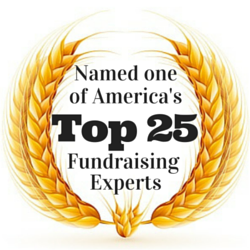 Thank you for being a champion of donor-centered fundraising that builds relationships and long-term support. Michael, thank you for your review of my Retention Fundraising. Much appreciated and very much on point as are the thoughtful comments of your readers. The “reason” for the first gift is not nearly as important as the steps the organization takes upon receiving the first gift. If the initial contribution is promptly and appropriately handled (a prompt and meaningful “thank you,” perhaps a thank you phone call and/or a welcome package) the proper foundation for retention will be established. Of course, most folks will acknowledge that this is “common sense,” but it always amazes me how rare common sense is. The central premise — and a lot of the empirical detail in the book — is that it is the donor’s attitude that affects the donor’s behavior — positively or negatively — AND IT IS THE ACTIONS THE ORGANIZATION TAKES THAT AFFECTS THE DONOR’S ATTITUDE. In short, with the exception of death or personal bankruptcy on the part of the donor, all the other factors contributing to why a donor stays or goes rests entirely in the hands of the organization itself. Again, thank you for reviewing Retention Fundraising and thanks to your readers for their insightful comments and questions. Roger, thank you for sharing some additional, important thoughts here. 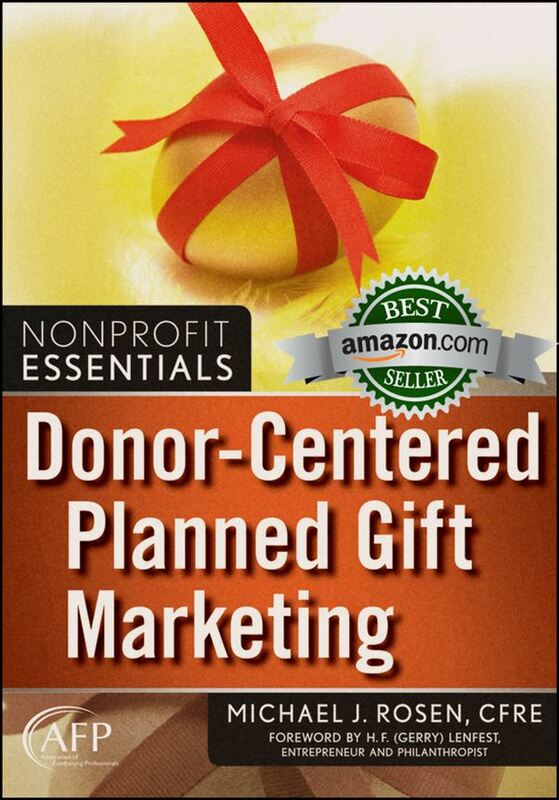 You’re a true champion for the practices that will lead to greater donor retention. Trust is indeed a key element to building retention. I experienced this when creating some of the highest retention increases in North America. However it is not consistency and reliability, the organizations with the worst retention rates are both consistent and reliable. Trust is built via having the ability to capture a deep personal understanding of each donor and then having systems to deliver customized experiences. I took my team to Disney to learn how to create experiences because there were zero opportunities in the nonprofit sector. If we continue to focus on the minimum expectations that donors expect, like the thank you, we will see a copy of the last decade of renewal rates falling. Michael, change means actual change, if we don’t move to metrics that measure retention over longer terms, we will continue to see the failure of this short-term thinking. Jay, thank you for your additional thoughts. I agree with you that we need to consider long-term retention rates rather than being satisfied with looking only at short-term rates. You’ll be pleased to know that Roger feels the same way; in his book, he spends a fair amount of time discussing that within the context of donor Lifetime Value. I also agree that organizations need to change their cultures if they wish to see dramatic changes in donor retention. However, there is still some value to be gained with incremental changes such as sending out a timely, well crafted thank-you letter (particularly if the organization currently sends no thank-you letters at all). As Adrian Sargeant has pointed out, research shows that just a modest 10 percent improvement in donor retention can yield up to a 200 percent increase in Lifetime Value. While I’m not suggesting that the nonprofit sector should be satisfied with incremental improvement, I would suggest that it is a start in the right direction. The numbers have been so poor, for so many organizations, for so long, that I’m anxious to see any positive shift, even an incremental one. Why? Because it will provide the smart charities with greater resources to fulfill their missions. Also, once these organizations begin to see the benefits for themselves of working to enhance donor retention, they might be more likely to further invest the time and funds necessary to make more profound changes.